Story Scotland, the Uddingston-based civil engineering firm, is expanding beyond the rail sector as it unveils a five-year plan to double its turnover to £40m. The company has worked on a series of high-profile projects in the rail sector, including the £5m Queen Street tunnel track slab replacement in Glasgow for Morgan Sindall and the £2.5m Stirling station canopy replacement for Network Rail. Previous projects have included the St Ninian’s level crossing replacement in Stirling, the renewal of the canopy glazing over platforms five and six at Inverness station, the platform extension at North Berwick station and the installation of “Access for All” bridges at stations including Blairhill in Coatbridge and Elgin in Moray. Having grown its rail team to 52 members, the business is now expanding its civil engineering work into other areas, including construction and plant hire. Story Scotland is part of Story Contracting, a civil engineering business based in Carlisle, and has revenues of £120m a year and employs more than 600 people. 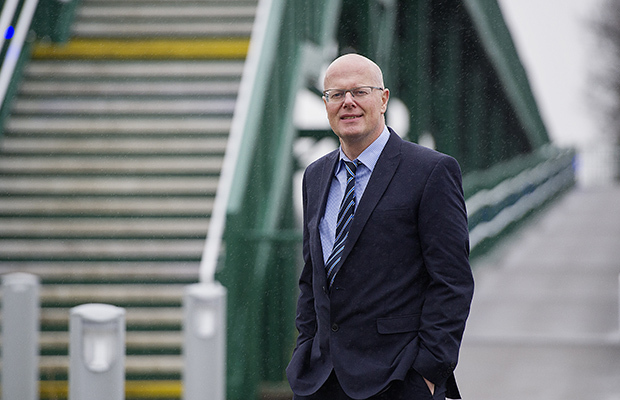 John MacArthur, director at Story Scotland, said: “We have experienced strong growth in the rail sector over the past three years, delivering a significant volume of challenging civil engineering projects for our clients. “We have great appreciation for the clients and contractors who have supported Story in Scotland during this time and we have purposely focussed on using local companies to help grow our business, while creating local employment opportunities. “This has allowed us to develop a collaborative and professional team, based at our Uddingston office, which also has the skill set and experience to deliver projects out with the rail sector. “Our five-year business plan will see turnover doubling to £40m per annum, which will allow us to continue to invest in our staff and employ both graduates and apprentices to help us meet our growth targets across the civil engineering sector. Fred Story, owner of the company, added: “Story has successfully delivered a number of key projects around Scotland, including the challenging IEP Infrastructure upgrade at Inverness and Aberdeen Depots, and are currently improving the station facilities at Dundee Station for Abellio ScotRail. “The team has also grown by almost 500%, allowing Story to invest in Scotland’s future talent with apprenticeships and graduate schemes. “This year marks the 30th anniversary of Story Construction, as we were then known, being launched from a portacabin in my back garden. As well as Story Scotland, the group also owns Reiver Homes, which builds houses in the South of Scotland and Cumbria, with current projects including the March Mount development in Dumfries.